There is always great design in simplicity. 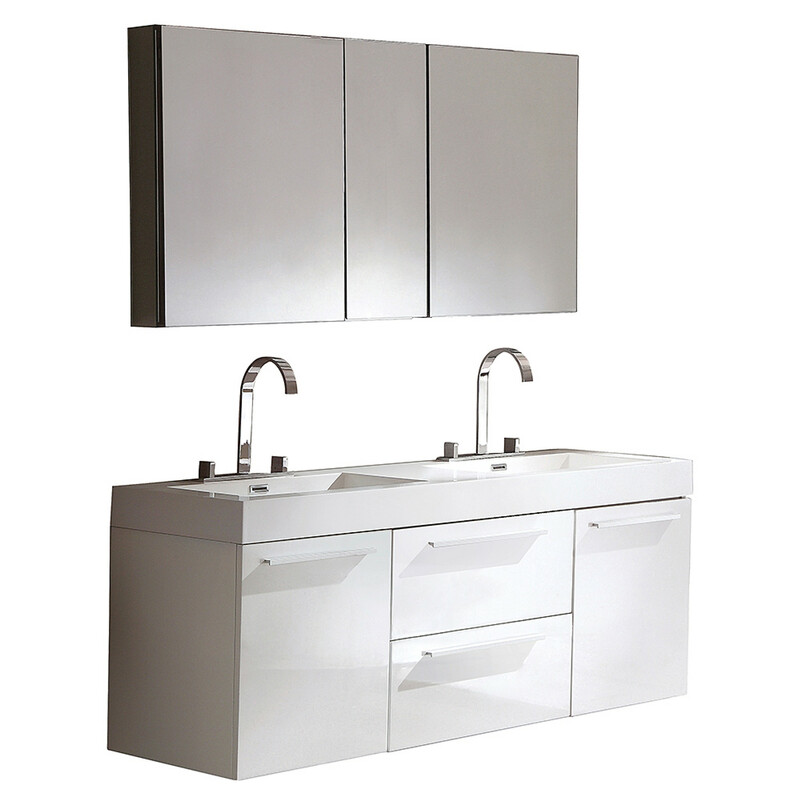 Double the greatness with the Opulento double sink vanity. Four sliding drawers adorn the vanity, and if desired, an optional accompanying medicine cabinet will satisfy immediate storage needs for two. A beautiful widespread chrome faucet is also included in this great ensemble for those with room to spare but not without limitations on measurements. Measuring 54” from side to side, the Opulento is available in Black, Oak, Walnut, or White. Ideal for anyone looking for a winning combination of style, sleek design, and size, this vanity brings it all together to present something dashingly urban.